Related to my previous post, I was looking at the website of the engagé Nazareth-based British journalist Jonathan Cook, who does not have warm sentiments toward Israel or the Zionist enterprise, to put it mildly. One learns on the site, entre autres, that Cook was the happy laureate of The Martha Gellhorn Prize for Journalism in 2011. 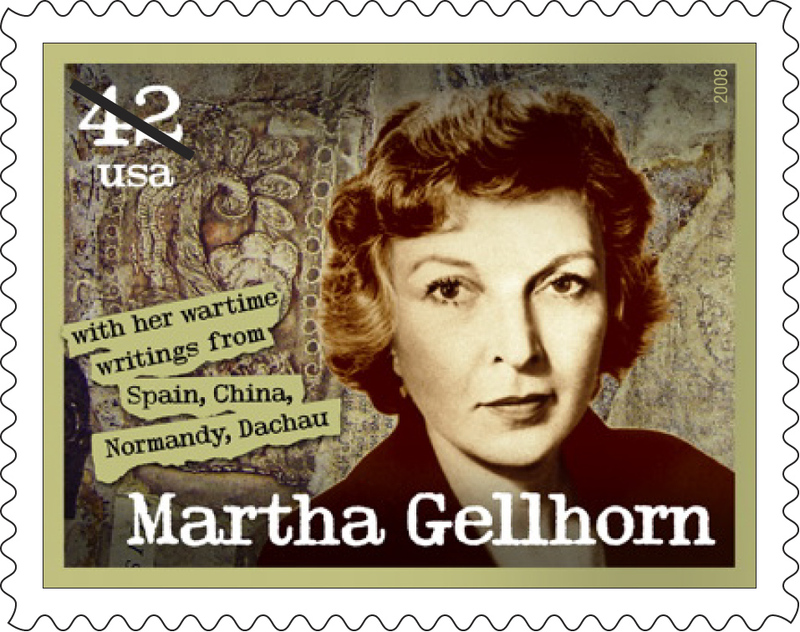 Martha Gellhorn was one of the great war correspondents of the 20th century—and quite certainly the greatest female one—, was an all-around exceptional woman and who had an exceptional life (so much so that she has been the subject of some six biographies). For a journalist to receive the prize that carries her name thus signifies real recognition of his or her work. to see the ‘Palestinian Refugee Problem’ in terms of real life, real people…[to report on] how the Arab refugees and the Arab Israelis live, and what they say about themselves, their past and their future. It’s quite a reportage (I read it several years ago). As suggested above, Gellhorn came away from the experience—during which she visited a number of UNRWA camps—with a severe assessment of the Palestinians on the political level. Among other things, she considered those in the UNRWA camps to be rather well off given the circumstances. In this, Gellhorn was no doubt comparing their situation to that of the refugees and displaced persons in Europe at the end of WWII, to which she had been a witness. Compared to the Holocaust, to the plight of the 12 million German Vertriebenen (expellees), and the privations of life in general for the populations of immediate postwar Europe, what happened to the Palestinians three years later—though tragic for individuals, but in a conflict in which, politically speaking, they were not passive victims—was simply not that major of an affair in the larger scheme of things (and, pour mémoire, the 1948 war followed by less than a year the partition of India, which displaced over 12 million people and with up to a million losing their lives). And the Palestinian refugees were prise en charge by the United Nations to a considerably greater extent that were the WWII refugees and DPs (and there was no international help at all for the refugees in the Asian subcontinent). That was Gellhorn’s implicit comparative framework. Given what she had seen in the course of her reporting career, one can understand it. In any case, her Atlantic Monthly report makes for interesting reading even 52 years after its publication. I’m curious to know what J.Cook and other Gellhorn prize winners make of it (assuming they’ve read it). Just asking. JPost commentator Yoni Dayan has an op-ed on Ynet on UNRWA and the disproportionate amount of aid that has been given to Palestinians compared to refugees from elsewhere over the past six-plus decades. Dayan considers the relatively privileged position of Palestinian refugees—and now descendants of refugees, which is what the vast majority are—to be an anomaly and that should not continue. He makes a number of sensible proposals to modify the situation, one being the dismantling of UNRWA and merging its functions with the UNHCR. I largely agree with what he has to say and challenge anyone who disagrees to explicitly state why. Dayan’s op-ed does contain one error, where he writes that “the United Nations split the existing global refugee agency to create a special organization tasked with caring only for Palestinian refugees.” UNRWA’s creation in fact preceded that of the UNHCR and at a time when the emerging international refugee regime only concerned refugees in Europe. So a specialized agency for the Palestinians was logical at that historical moment. As to whether it remained logical after—and particularly to this day—is another matter. If UNRWA is to be phased out and with its functions taken over by the UNHCR—and which should happen—there will need to be a lengthy transition period—of maybe ten years—, to give time for the resolution of some delicate issues, notably of the Palestinians in Lebanon (who are in an impossible, inextricable situation). But as the Palestinian refugee problem, such as it is posited today, is insoluble and destined to continue for generations to come, one cannot expect the member states of the UN to continue funding such an agency indefinitely. Sooner or later the US Congress will make an issue of it and take the matter in hand, one may bet on that. 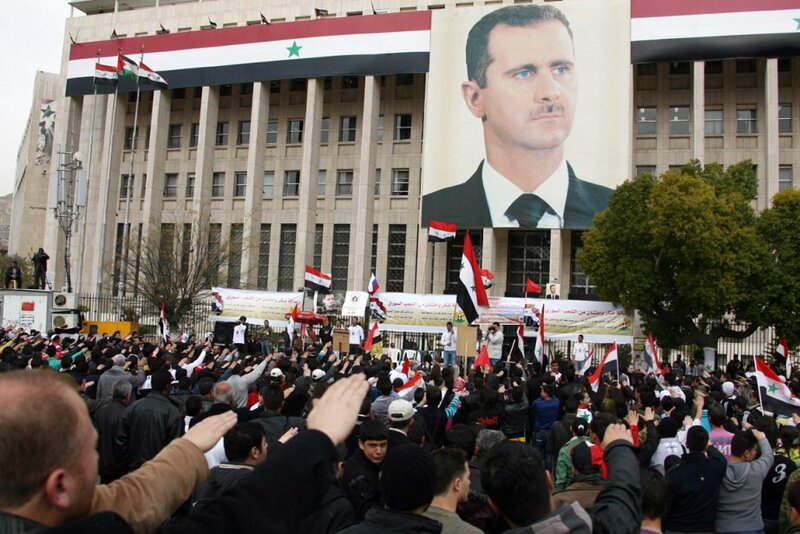 Syria: Is it the end of Sykes-Picot? Patrick Cockburn has a must read piece on the LRB website on the war in Syria and its threat to the Middle East. This is one of the best analyses I’ve read on the subject. The bottom line: neither the regime nor the opposition can win. And the war there is not going to end anytime soon. 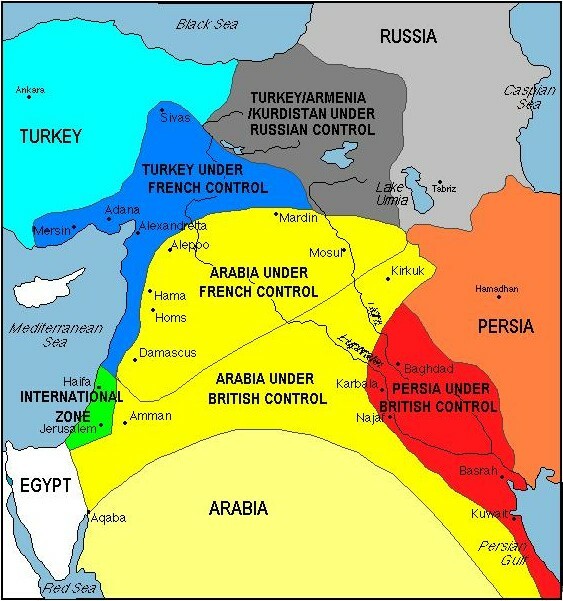 BTW—and contrary to popular belief—, the Sykes-Picot agreement—which is in the title of Cockburn’s article—was never implemented (at least not as intended by Sykes and Picot). “The strange tale of the Lebanese space race,” so reads the above poster (and which is not from The Onion nor a joke). This documentary—which I saw at a Saturday matinée in the Quartier Latin—tells the story of a young math and science professor, Manoug Manougian, and his students at Beirut’s Haigazian College—the university of Lebanon’s Armenian community—in the early 1960s, who developed rockets from scratch that were more sophisticated than what most countries in the region had at the time (and Manougian only had a Bachelor’s degree). 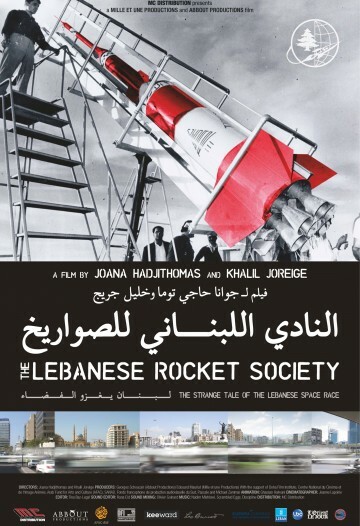 As word got out about the project, launched in 1960, various other actors got involved—including the Lebanese army—, it received ample coverage in the Lebanese media, and was a source of national pride, until President Fouad Chehab told the Rocket Society in 1964 that the state was shutting it down—citing pressure from unnamed foreign powers (France was suggested, though there were no doubt others). There was no more talk about it after, and with all that Lebanon went through over the subsequent decades the episode was totally forgotten. Down the national memory hole, unknown to those who came of age after the mid 1960s. The fact that most of the members of the Rocket Society left the country—Manougian later received his doctorate from UT-Austin and made his career at the University of South Florida—, and many of the archives, photos, and newsreel footage were lost or destroyed during the civil war, did not help keep the memory alive. Until filmmakers Joana Hadjithomas and Khalil Joreige stumbled across the story in 2001 and decided to make a documentary about it. Remarkable their painstaking, years-long effort to track down the actors in the episode and assemble still-existing press archives and film footage (see the photos on Manougian’s USF webpage, clicking on the ‘rocket propulsion systems’ hyperlink). The documentary is very well done—see the review in NOW.—and, among other things, gives a nice portrait of Lebanon of the period, when there was an optimism for the future and the country looked like it might be developing a real national identity (under Fouad Chehab, Lebanon’s best president ever; and probably its only good one ever at that). That optimism is no longer there, c’est le moins qu’on puisse dire. And Lebanon sadly did not become a nation. The documentary reminded me of the fine 2008 Turkish film ‘Cars of the Revolution’ (go here and scroll down), which recounted the story of a group of young Turkish engineers in 1961 who were commissioned by the state to develop the country’s first automobile, entirely Turkish conceived and manufactured, and in exactly four months. The leitmotifs: optimism for the future, modernity, nation-building. Turkey’s doing well these days—economically at least; politically I’m not too sure—; Lebanon and elsewhere in the region, less so. Saw it. Enjoyed it. Reviews may be mixed but so what? It’s an engaging, entertaining political thriller. And it was nice to see all the actors and actresses from my younger years (and, boy, does Julie Christie look good at 71!). Certain critics thought the journalist played by Shia Leboeuf was an insufferable jerk; he was indeed, though he did do honor to the journalistic profession. The political dialogue in the log cabin between the Christie and Robert Redford characters was a groaner—hackneyed and stilted; screenwriter Lem Dobbs was clearly not a 1970s American leftist—and the ending was inevitably Hollywoodish, but I’ll give all that a pass. Thumbs up to this one! Par ailleurs, le film s’intitule ‘Sous surveillance’ en France. Les critiques françaises sont aussi mitigées qu’à l’outre-Atlantique. La belle affaire. Je l’ai bien aimé. UPDATE: 1960s leftist turned rightist Peter Collier goes ballistic on the pic in the June 3rd issue of TWS. 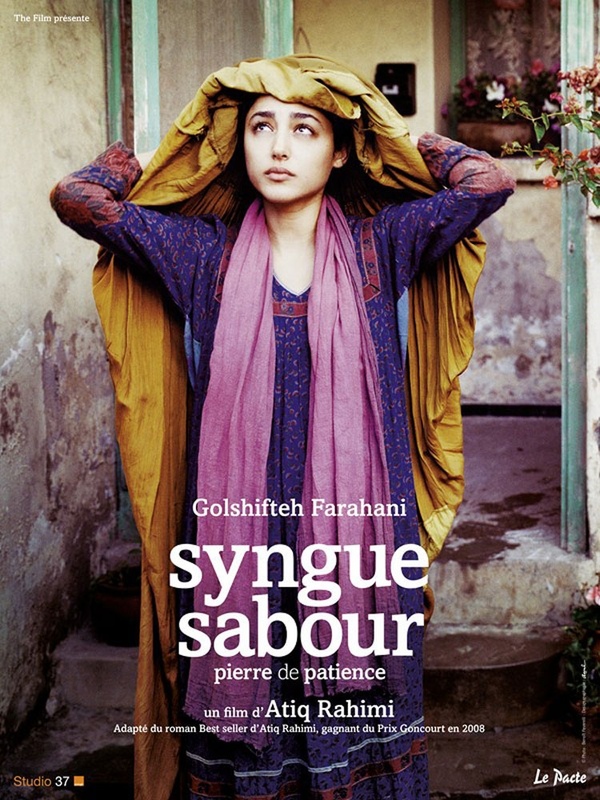 My post yesterday on Iranian director Asghar Farhadi’s ‘Le Passé’ reminded me of this very good film I saw a couple of months ago (English title: ‘The Patience Stone’) and had intended to write something on. It’s set in an unnamed Muslim country in the throes of civil war that is rather obviously Afghanistan—and specifically Kabul, with the panoramic scenes of the city shot there (the interior and street scenes were shot in Morocco)—, is in the Persian language (called Dari in Afghanistan), and stars the sublime Iranian actress Golshifteh Farahani, who’s in almost every frame. The film, directed by the Afghan/naturalized French citizen Atiq Rahimi, is based on Rahimi’s best-seller novel of the same title (which won the Prix Goncourt in 2008), about a 30ish woman with two small children whose mujahid husband lies at home comatose (from a bullet in the neck), leaving the woman to fend for herself (and in a war torn society where the status of women, even in the best of times, is one of the worst in the world). 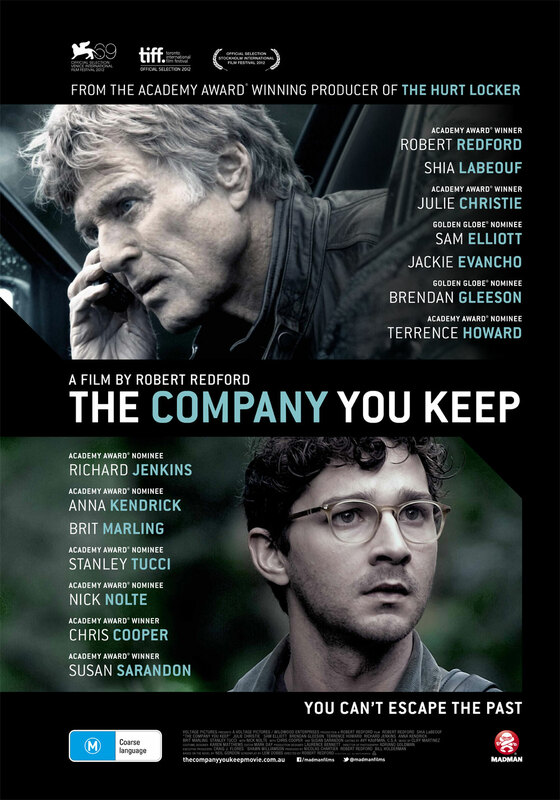 For details, see the reviews here and here (and French reviews here). All I’ll say about the film—apart from giving it the thumbs way up—is that Golshifteh Farahani’s performance is a tour de force. She’s one great actress, rien à dire! 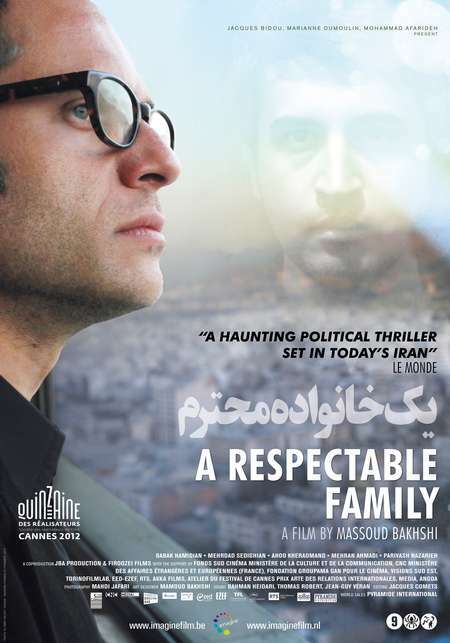 For the record, I should mention an Iranian film I saw last fall, ‘A Respectable Family’, by Massoud Bakhshi (who usually does documentaries), about a university professor who returns to Iran after two decades abroad and gets caught up in some sinister scheming of his sleazy, corrupt family (thus the ironic title). The pic is, as one may guess, a backhanded critique of a lot of what goes on in the Islamic Republic, of the moral code—or absence of—that guides the actions of a certain number of people there. The plot is complex and I will admit to getting lost halfway through, which I attributed to briefly nodding off a couple of times—due to fatigue, not the film itself, though its pacing did not exactly have me riveted to the screen (it’s not ‘Fast & Furious 6’, loin s’en faut)—, during which I no doubt missed crucial information. And sure enough, one of the reviews said that “[t]his is one of those movies where you can’t miss a single subtitle” (other reviews are here and here; French reviews here). So voilà. If I come across the film on DVD, I’ll watch it again (and this time wide awake).